Like other fish oils, cod liver oil is primarily taken as a supplement because of its docosahexaenoic acid (DHA) and eicosapentaenoic acid (EPA) content. These essential omega-3 fatty acids have a wide range of health benefits. Cod liver oil is also high in vitamins A and D, which may or may not be an added benefit, depending on your current intake of them. 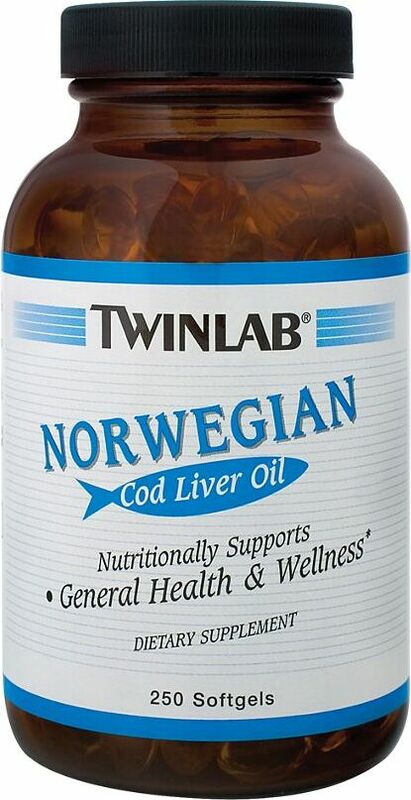 This page discusses cod liver oil and has product price comparisons below. After reading this, you can also see our omega-3 write-up, which contains nearly all fish oil products with high amounts of these important fatty acids. 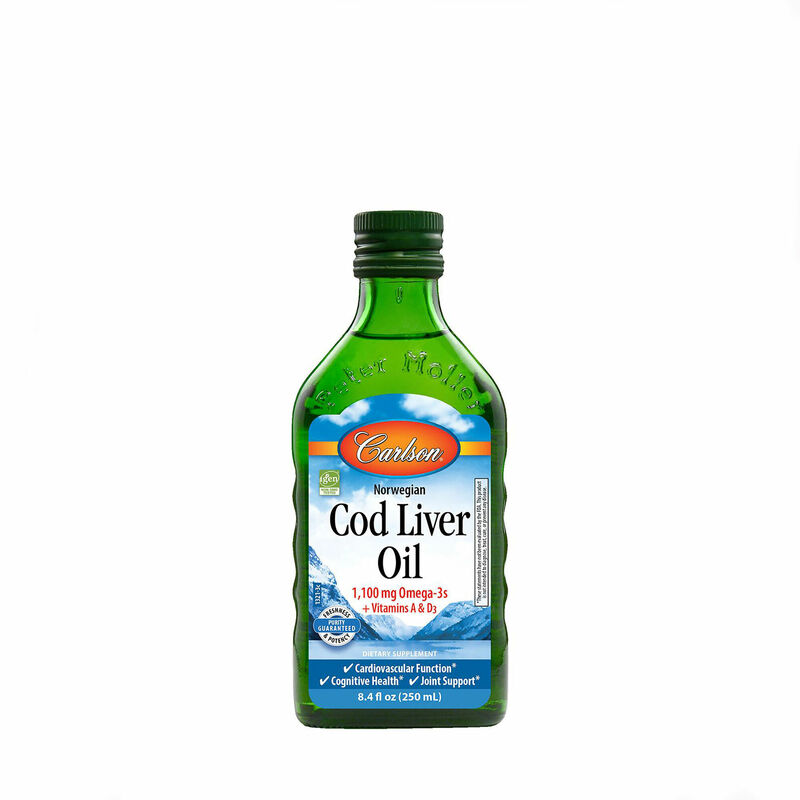 Throughout history, cod liver oil has been a popular nutritional supplement. Both internal and external use can be traced back to ancient Greece and Rome, and in northern Europe, as a general remedy for poor health. 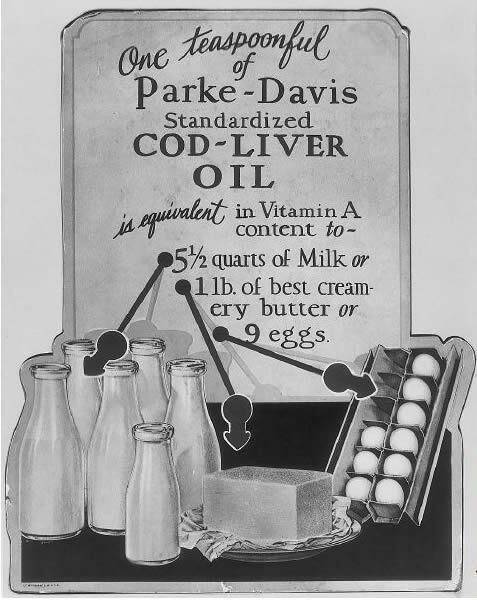 Prior to the development of synthetic multivitamin pills early in the 20th century, cod liver oil was given to children as a vitamin supplement. It has also traditionally been used for treatment of rickets and rheumatism. 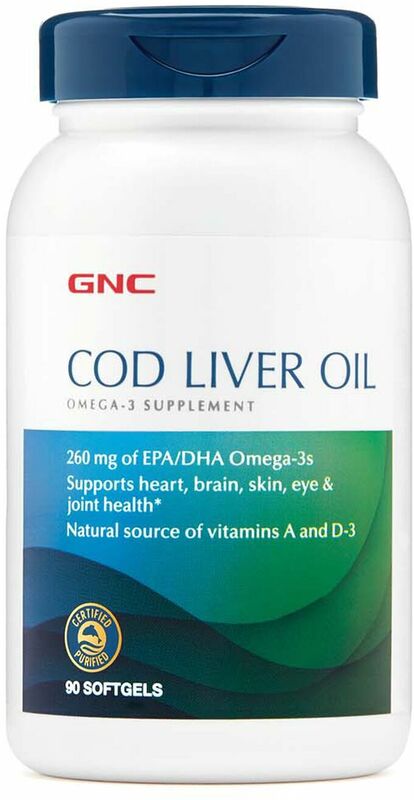 The benefits of cod liver oil overlap with fish oil: they're used as primary sources of EPA and DHA, they fight inflammation, may slow the development of cardiovascular disease, lower cholesterol, ease symptoms of arthritis and joint damage, and help improve cognitive function. Cod liver oil does offer some unique benefits, however. It packs a massive dose of vitamin A, which is important in cell growth, vision, and immune system support. It also contains a substantial amount of vitamin D, which improves bone density, promotes calcium absorption, and supports the innate immune system. A 2002 study conducted by researchers at Norway's National Institute of Public Health suggests that when taken during pregnancy, cod liver oil may lower the risk of type I diabetes development in children. Cod liver oil also has a long history of use as a topical remedy for various skin conditions. A 2000 study performed by researchers at Aarhus University Hospital in Denmark found that it accelerates wound healing in mice. After reading this article, we highly recommend you read the EPA and DHA articles linked above. 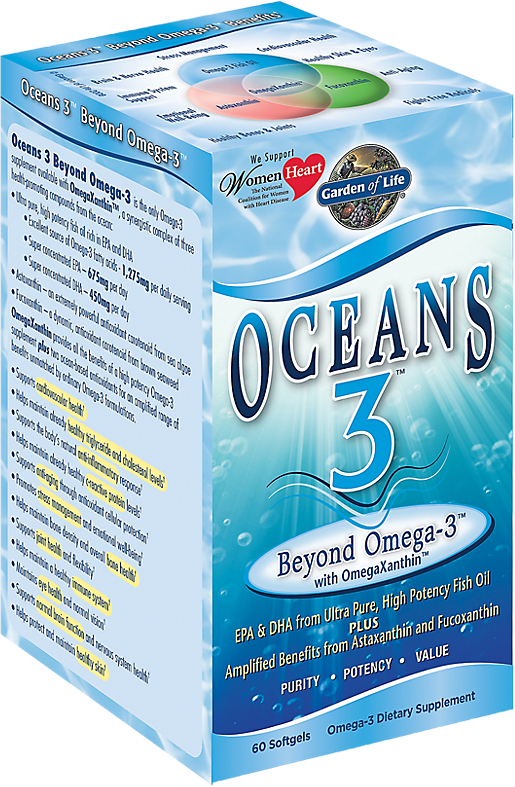 They are the true powerhouses of any quality fish oil product. Cod liver oil isn't regulated by the FDA and has no recommended daily dosage or tolerable upper limit (UL). However, if you're supplementing with this essential fatty acid, it's important to consider the high vitamin A and D content. The Institute of Medicine (IOM) has established a UL for both vitamins. Dosages beyond this can cause or exacerbate medical problems (see Warnings for further detail). Cod liver oil is commonly available as a liquid and in gel cap form. It's sold in powder form, but this is usually intended for animals — particularly horses. As with most fish oils, cod liver oil is derived from a natural food source and does not have dangerous side effects unless you have a seafood allergy. Any side effects will be minor irritants or cosmetic — an unpleasant taste or odor, temporary bad breath, gastrointestinal discomfort, or loose stools are possible. 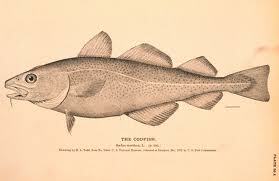 The only natural source of cod liver oil is cod. Beneficial EPA and DHA is also stored in the tissue of other oily fish. Your body is able to synthesize the nutrients from alpha-linoleic acid, which occurs in a wide range of foods. Always talk to your doctor before beginning any new program of supplementation. If you are unsure of the vitamin content of your regular diet, you may want to consult with a nutritionist to ensure that cod liver oil supplementation will not cause you to take in too much vitamin A or D. Also, your doctor can do a simple test that will reveal vitamin levels in your blood. Cod liver oil can contain high levels of mercury and other polychlorinated biphenyls (PCBs), but most manufacturers will purify fish oils to get rid of these. This should be noted on the label, often found next to the nutritional information. The standard for purity testing methods have been established by the Association of Analytical Communities (AOAC), an international non-profit entity. Testing is conducted by an independent laboratory in accordance with these standards and the manufacturer should have a certificate of analysis (COA) available either at their website or upon request. When fish oils are purified, it should be noted on the label, often found next to the nutritional information. Cod liver oil is not recommended for women who are pregnant or breastfeeding. Because it can lower blood pressure, cod liver oil should not be used if you are taking blood pressure medication. As with all fish oils, more than 3g per day is considered high and may lead to internal bleeding. Vitamin A is a fat soluble vitamin that is stored in body tissue. If too much accumulates, a dangerous medical condition, called hypervitaminosis A, can occur. Immediate symptoms are nausea, vomiting, dizziness, headache, and blurred vision. Long-term effects can include bone and liver problems, hair loss, and orange discoloration of the skin. The IOM has published a chart of recommended daily upper limits for vitamin A. The IOM has also established a UL for vitamin D (which is also fat soluble). While the exact levels at which toxicity occurs are less clear, too much vitamin D can cause hypercalcemia, an excess of calcium in the blood. Hypercalcemia is a temporary condition that may result in vomiting and nausea, dehydration, lack of appetite, muscle weakness and fatigue, and constipation. It generally resolves itself in a few weeks with a low calcium diet and possible treatment with steroid hormones. 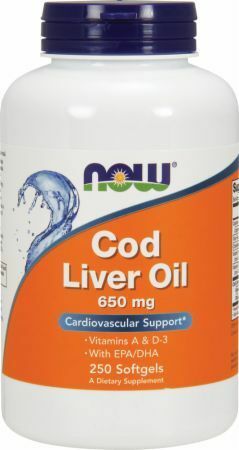 Compare cod liver oil supplements right here at PricePlow and save up to 50% off of retail prices. Save on sales tax, too, where applicable. National Oceanic and Atmospheric Administration, "PCBs, or polychlorinated biphenyls, are industrial products or chemicals"
Sign up for future Cod Liver Oil news! 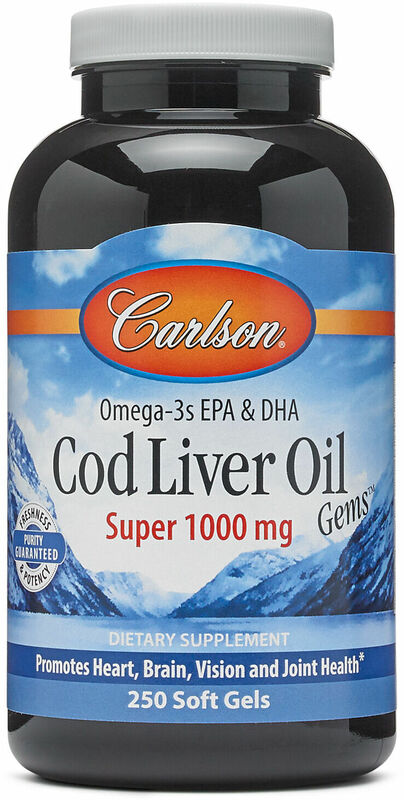 Click the button below to sign up for future Cod Liver Oil news, deals, coupons, and reviews! 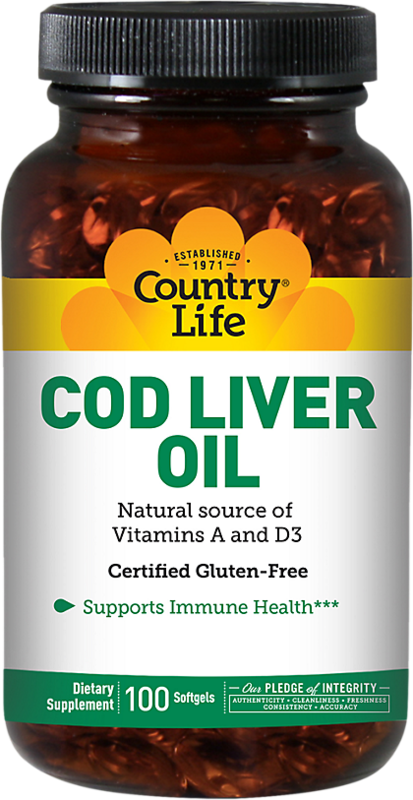 Sign up for future Cod Liver Oil deals and coupons! 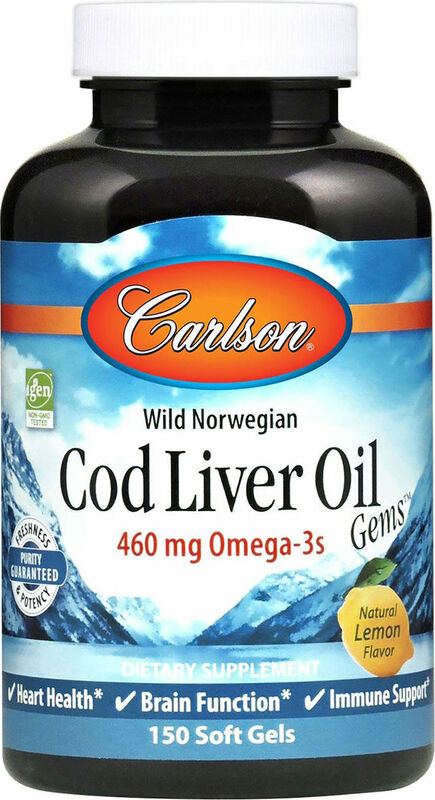 Click the button below to sign up for future Cod Liver Oil deals, news, and coupons! $11.13 This is a Buy 1 Get 1 FREE offer!